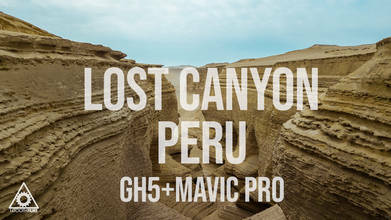 Description: About 450kms south of Lima through unmarked desert roads, Lost Canyon or El Cañon de los Perdidos is found. If you're thinking about making this trek, be sure to hire a guide from the city of Ica. Gear used: Panasonic GH5 Metabones Speedbooster+Sigma 18-35mm 1.8, Canon 70-200 2.8 DJ I Mavic Pro + Taco RC filter set NLE: FCPx Colour: Davinci Resolve 15 Music: Sevdaliza - Human (rkm.edit) https://soundcloud.com/iamrkm/ LICENSING & BUSINESS INQUIRIES ► danbuchanan70@gmail.com This video is subject to copyright owned by Dan Buchanan. Any reproduction or republication of all or part of this video is expressly prohibited, unless Dan Buchanan has explicitly granted its prior written consent. All other rights reserved. Copyright © 2019 Dan Buchanan. All Rights Reserved.